Full or partial tooth loss, if left untreated, doesn't just affect a person's self-image — it can also increase the risk of developing nutritional problems and other systemic health disorders. 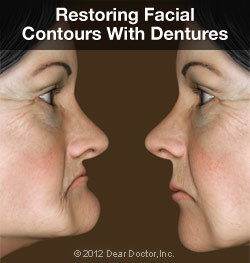 Fortunately, there's a reliable and time-tested method for treating this condition: partial dentures. Partial dentures consist of a gum-colored base made of plastic resin, which fits over the remaining alveolar (bone) ridge that formerly held the teeth. 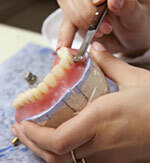 The prosthetic teeth projecting from the base are designed to look and function just like your natural teeth. Dentures are held in place primarily by the suctioning effect of their close fit against the alveolar ridges — that's why it's so important that they are fitted properly. 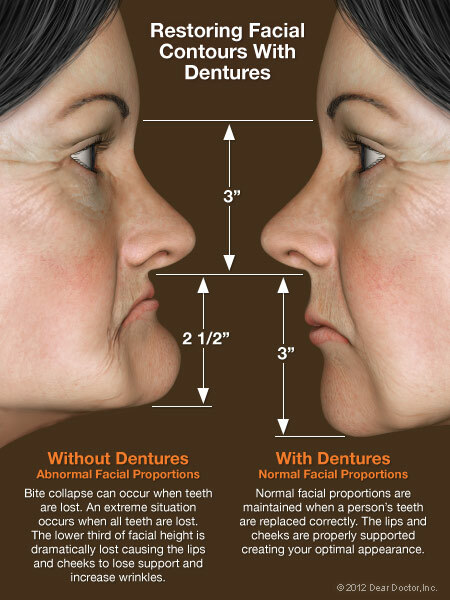 The upper denture also gets extra support from the large surface area of the roof of the mouth (palate), which generally makes it extremely stable.